Pattaya Coral Island or locally known as Koh Larn or Ko Lan, 7km from Pattaya Beach, has six beaches around the island. 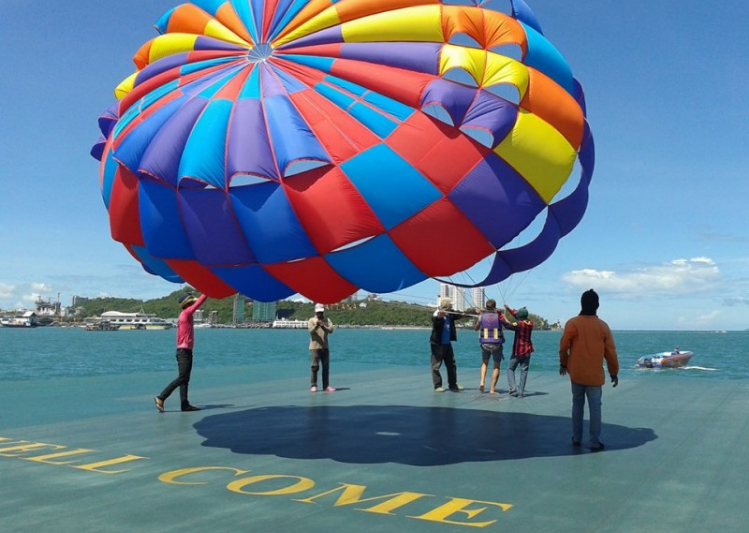 Pattaya Coral Island Half Day Join Tour with Indian Lunch is designed for Indian only. Pattaya Coral Island Tour Tawaen Beach is by far the most developed and the most visited beach on Koh Larn. On any given day by my estimate there are well over three thousand visitors, come to this beach. On the weekend that number may double for many people come down from Bangkok to enjoy a weekend of relaxation on the island far removed from their city life. This is also a place that attracts international tourist from all over the globe. Most any major language can be understood here to a certain degree, the people that work here cater to international travelers on a daily basis. Most of the restaurants will specialize in one or two types of international cuisine, one may specialize in Russian food whereas another may serve Chinese and so on. All the activities can be found here, Jet Ski, Banana Boat and more. 12.30 - 14.30 pm: Leave from Coral Island by speed boat proceed you back to Pattaya. Exploring Pattaya Coral Island also locally named Koh Larn or Ko Lan is one of the best Pattaya sightseeing choice to visit or travel in nearby Bangkok Thailand. 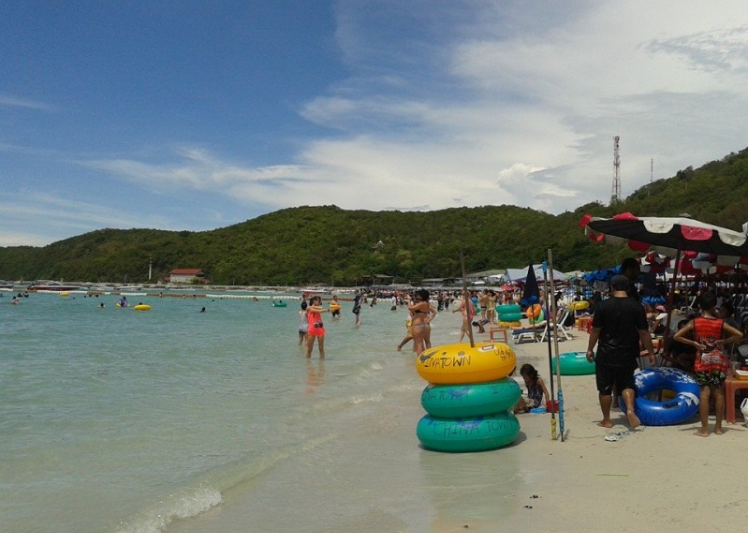 After visiting some of the more commercialized attractions of Pattaya, many visitors choose to spend a day out on one of the nearby islands, where the sand is much cleaner and inviting than at the municipal beach. Of the half dozen islands offshore, the most popular is KO LAN, Koh Larn or Coral Island Pattaya, which has several beautiful beaches, clear water, and an abundance of coral. You can view the coral from a glass-bottom boat, snorkel, or organize a trip at one of the dozen scuba-dive centers in Pattaya. Currently, Coral Island Pattaya might be overcrowded during weekend. The overnight stay is recommended but the expense will be more expensive comparing cost in Pattaya beach. Tour boats from Pattaya head to Tawaen Beach on the northeast coast of Ko Lan, the island’s best and most popular beach (avoid weekends, when it gets packed.) Restaurants and outlets offering water sports line most of the beach. Besides glass-bottom boat tours of the nearby coral crops, you can hire snorkeling gear, try parasailing, go water skiing, or hire a water scooter. At the southwestern end of the island is the clean and tranquil (on weekdays) Laemtien Beach. South again are the smaller, more secluded Samae and Nual beaches.